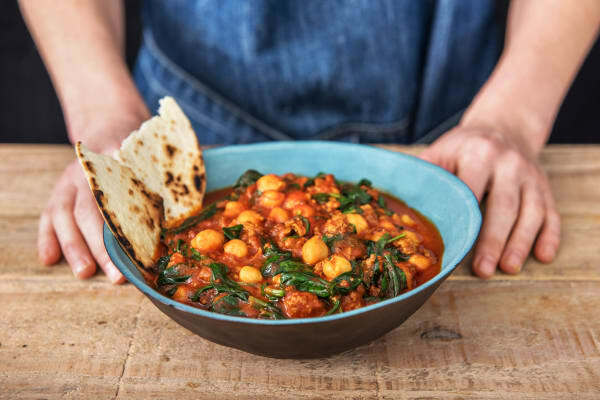 This flavoursome Lamb Curry with Chapatis is deliciously simple, chef-curated recipe doesn't disappoint. Time to bust out the pots and pans! Heat a large frying pan on medium-high heat (no oil). 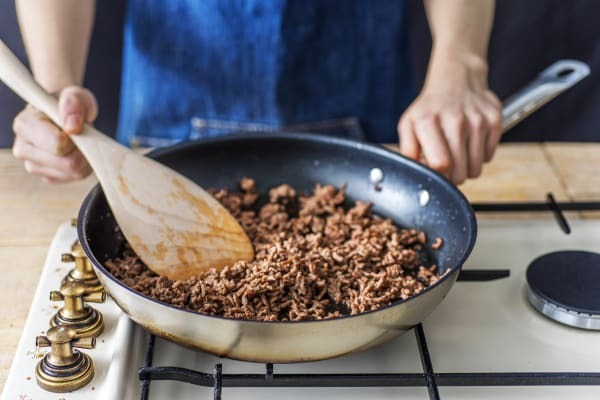 When hot, add the lamb mince and fry, breaking it up with a wooden spoon, until browned, 3-4 mins. 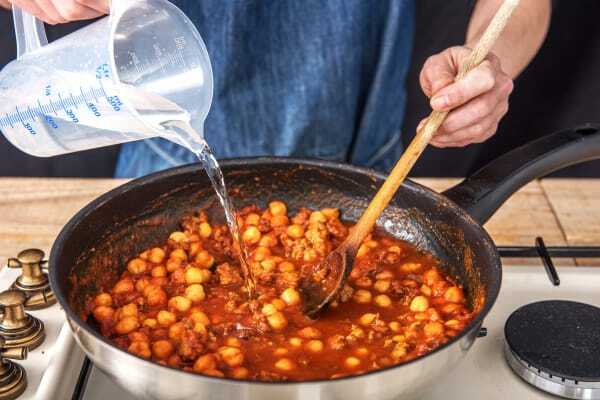 Meanwhile, drain and rinse the chickpeas in a sieve. When the lamb has browned, stir in the Malay curry powder (careful, it's hot!) and cook for 30 seconds. 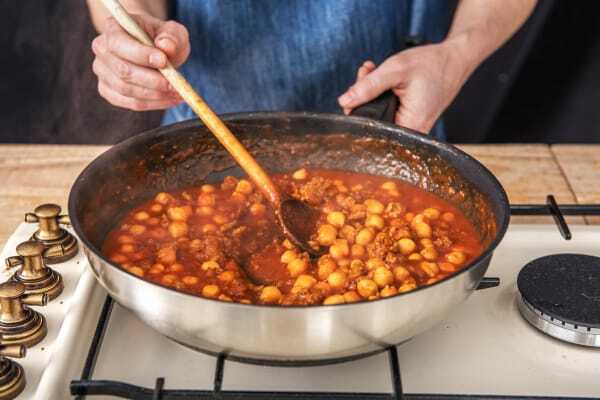 Stir in the chickpeas, stock powder, tomato passata, water (see ingredients for amount) and a pinch of sugar (if you have some). Stir everything together then bring to the boil, reduce the heat and simmer until thick and tomatoey, stirring occasionally 8-10 mins. IMPORTANT: The lamb is cooked when it is no longer pink in the middle. While the curry cooks, heat another frying pan on high heat. When hot, add a tortilla and leave until charred on one side, about 30 seconds. Turn and cook on the other side, then transfer to a plate and cover with foil to keep warm while you cook the remaining tortillas. 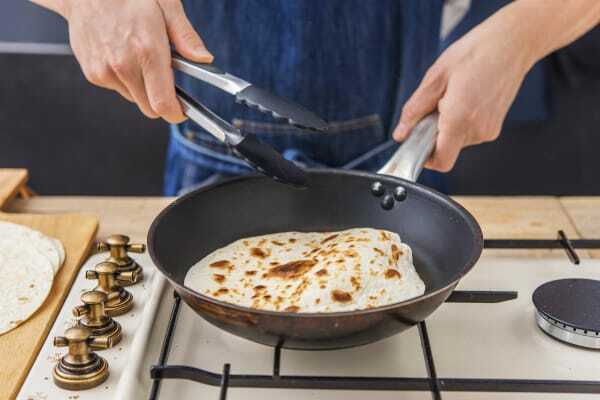 These are your cheat's chapatis! 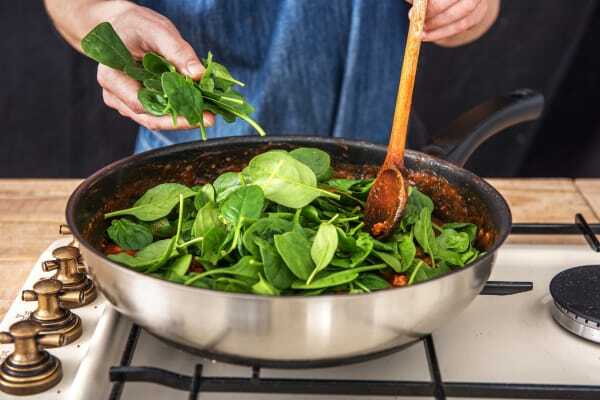 When the curry is nice and thick, stir the spinach in a handful at a time to wilt it. Season to taste with salt and pepper. TIP: Add a splash of water if it looks a little dry. 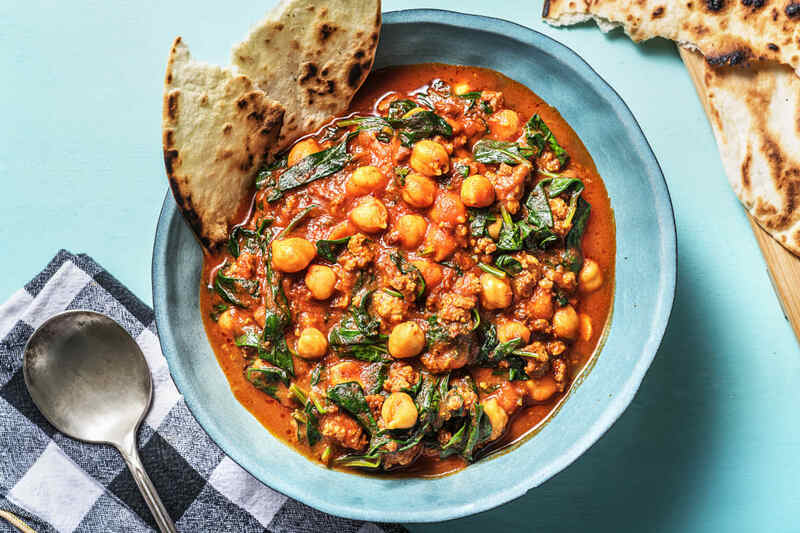 Serve the Malay lamb curry in bowls with the cheat's chapatis on the side for scooping. Enjoy!